More businesses and consumers are becoming reliant on information systems. 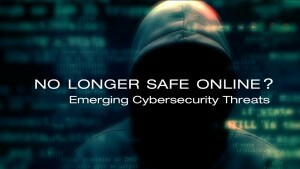 With the rise of the digital economy, the threat of Cyber-crime causes serious concern. In the midst of the digital transformation, the public and private sector need to keep pace with cyber protection. 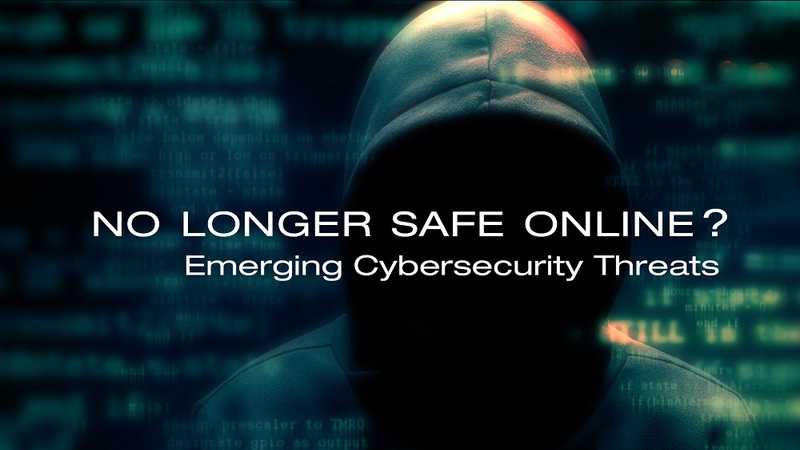 How can governments around the world address this new reality of cybercrime that transcends borders? How can citizens remain protected from these threats? Caitríona Heinl joined the Centre of Excellence for National Security (CENS) at RSIS as Research Fellow responsible for cyber analysis in October 2012. CENS is an applied policy research unit that works closely with the National Security Coordination Secretariat within the Prime Minister’s Office, Singapore. She has published peer‐reviewed articles and policy advisory reports on topics that include international and regional cooperation, country case studies, national security implications of emerging technologies such as cyber capabilities and increasingly autonomous technologies, public‐private partnerships, and cyber defence. She currently holds a non-resident international fellowship with the ASPI International Cyber Policy Centre, Canberra. Caitríona previously led the Justice and Home Affairs policy group and Justice Steering Committee at the Institute of International and European Affairs (IIEA), Ireland. In this position, she covered transnational crime, fundamental rights, data privacy and data protection, police/judicial cooperation, counter‐terrorism, international security and cybercrime. She qualified as a Solicitor in the UK (non-practising) and is admitted as an Attorney‐at‐Law in New York. She is currently a member of the Irish government’s Department of Foreign Affairs and Trade Foreign Policy Network. Caitríona holds an MPhil in International Relations from the University of Cambridge, having graduated in both commerce and law at University College Dublin and the Leopold Franzens University of Innsbruck Austria with First Class Honours. David Koh is concurrently the Deputy Secretary (Technology) and Deputy Secretary (Special Projects) of the Ministry of Defence (MINDEF) and the Chief Executive of the Cyber Security Agency (CSA) of Singapore. Prior to his current appointments, Mr Koh served in the Singapore Armed Forces and has held varied command and staff appointments in MINDEF and the SAF. As the Chief Executive of CSA, he leads CSA’s efforts to provide dedicated and centralised oversight of national cyber security’s functions. These include strategy and policy development, cyber security operations, industry development and outreach. Mr Koh and his team also work closely with the private sector to develop Singapore’s cyber security eco-system. He sits on the Boards of the Media Development Authority (MDA), Defence Science and Technology Agency (DSTA), DSO National Laboratories (DSO) and Temasek Defence Systems Institute (TDSI). Mr Koh graduated from King’s College, University of London, UK, with a Bachelors degree in Electrical and Electronics Engineering. He also has a Masters in Public Administration from Harvard University, USA. He and his wife, Marlene, have three children, Daniel, Rachel and Michael. Keshav Dhakad is the Regional Director of Microsoft Digital Crimes Unit (DCU) for the Asia region, based out of Singapore. Keshav supervises the initiatives and programs of Microsoft in the Asia region related to cybercrime & cybersecurity outreach & policy, malicious software crime disruption through public-private partnership, cyber-threat intelligence sharing and collaboration, trusted public cloud advocacy, intellectual property law & policy, prevention of child sexual abuse, and digital risk program involving software governance, involving governments, law enforcement, industry bodies, academia, NGOs, & enterprises. Keshav joined Microsoft in 2007 as the Head of IP Crimes Unit for Microsoft India, before moving to Singapore in 2012 for his current Asia-wide regional role. Additionally, in a member representative capacity, Keshav is the regional chairperson at “BSA – The Software Alliance” Asia committee and oversees its activities and policy initiatives. Keshav is a licensed attorney for the State of New York, USA, and enjoys speaking and writing on the topics of cybercrime, cybersecurity, IT governance, and trusted cloud. Vincent Loy is UK Financial Services Technology Risk Leader, currently on secondment in Singapore as the Singapore and Asia Pacific Financial Crime and Cyber Leader. Vincent led PwC UK Financial Services Technology Risk practice. He has over 20 years’ experience in the financial services sector and has advised the board and management of many complex global financial services clients on current and emerging issues relating to risk and regulations. This includes business and technology business operations alignment, cyber and technology risks, resilience and governance in respond to business, regulatory and organisational challenges. As a leading industry subject matter expert and thought leader, Vincent has been interviewed, presented and written thought leadership pieces for many international media. Vincent has extensive global experiences advising and working with board members, senior management and major regulators of some of the biggest organisations in assessing, designing and implementing sustainable, market leading risk management frameworks to meet industry and regulatory challenges and expectations. Since coming to Singapore, Vincent has advised boards, management and regulators in the Asia Pacific region on cyber and financial crime. He is also a sub-committee member of the Committee on the Future Economy, which was formed by the Singapore government in 2014 to develop economic strategies to position Singapore well for the future. Some of Vincent’s clients include global regulators and global financial services companies based in New York, London, Zurich, Singapore and Washington. Please click HERE for more details of the other episodes in this series.